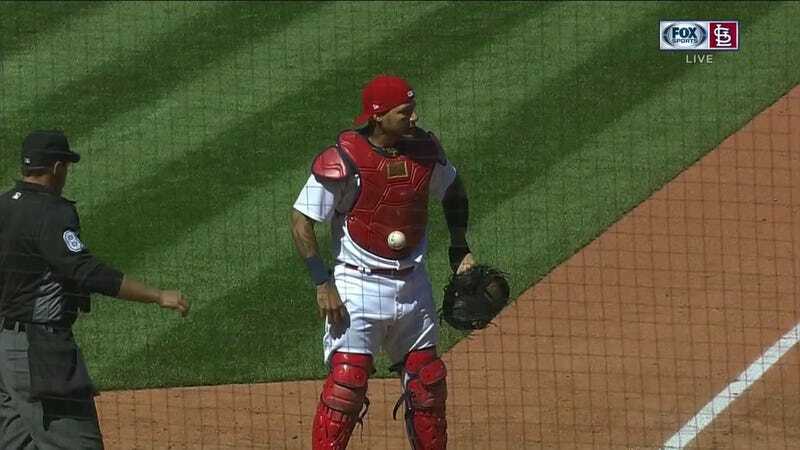 Matt Szczur reached base for the Cubs today when, in the top of the seventh inning, Cardinals catcher Yadier Molina was unable to corral a third strike in the dirt. The reason Molina couldn’t find the ball to put Szczur out at first? It was stuck to his belly. Szczur came into score two batters later on Kyle Schwarber’s big dong, putting the Cubs up 5-4. Feel free to discuss the ways a baseball might stick to a catcher down in the comments.